I am doing a section hike on the BMT in mid March. I was planning on leaving my car at Holly Flats and hiking back to it. But I have heard that a person can only leave a car at Holly Flats if they are camping there, which I will not be. Is this accurate information? If so, where is a good and safe place to park in that area for 5-6 days? 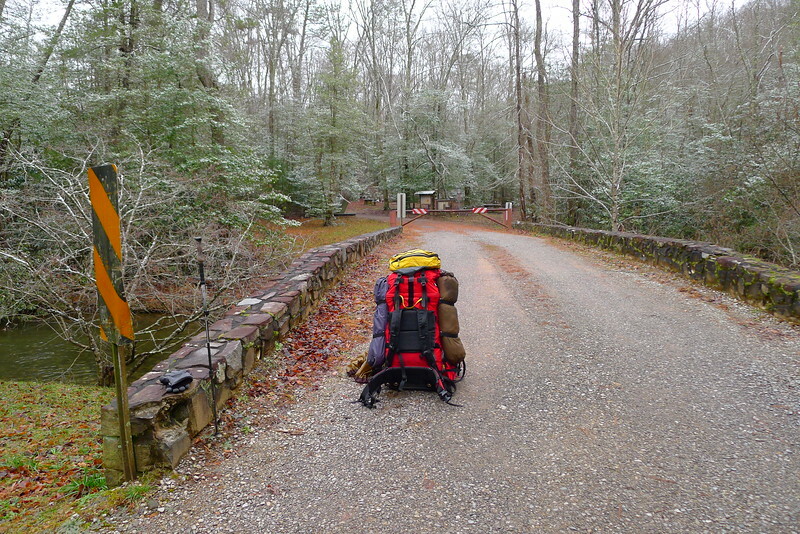 I see several campsites along Tellico River Rd, but assume that the parking rules are the same as Holly Flats. If you follow Bald River road upstream from Holly Flats a short distance you'll reach a small parking area for the Kirkland Creek trail---which climbs up to Sandy Gap and the BMT. Here's the small parking area at the bottom Kirkland trailhead---(the parking area is actually located to the right of this sign). Better yet if you go up Bald River past Kirkland you'll reach the Brookshire Creek trailhead which has PLENTY of parking---and the Brookshire Creek trailhead begins there. 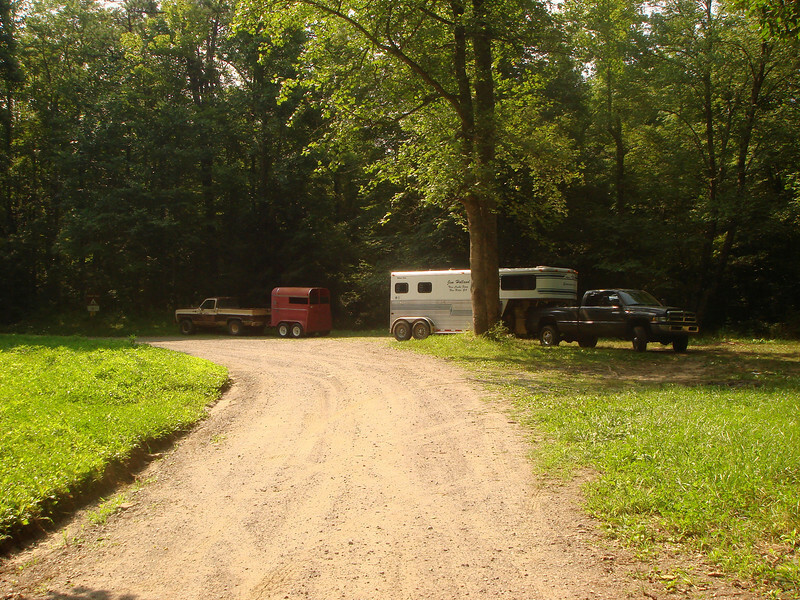 This is the parking area and the Brookshire Creek trailhead is directly behind the red truck trailer. And from the truck up to the BMT is 2.5 miles on the Brookshire trail. As far as parking on Tellico River by Bald River Falls---if you go past the Falls on TR road you'll reach Baby Falls parking area---no overnight parking here. BUT if you go up Tellico River a short distance you'll cross a river bridge and just beyond the bridge there's plenty of parking on the right side (going up river). This is neat if you want to take Cow Camp Trail into Bald River wilderness---a "side door". What's your 5 day route anyway?? Last edited by Tipi Walter; 02-09-2019 at 18:59. Thanks for the info. I did not know that there is a parking area at the Brookshire Creek TH. That is the trail I plan to use to exit the BMT so that will work perfectly. I will start at Highway 64/Ocoee River. I plan to take my time and enjoy the hike. Also, Florida isn't exactly known for our mountains (highest point is 345 ft.), so I am not sure what my daily mileage will be. Wow, sounds like a great trip. I did this route in 2012 but I went south from Tellico River and the Fish Hatchery over Sugar Mt to Big Frog Mt (south of Ocoee River). My distance was 70.5 miles. It looks like your distance will be about 60 miles---thru Little Frog Wilderness, Piney Flats (great campsite by spring), beautiful Lost Creek (with a nice campsite)---and then reaching Hiwassee Outfitters. The most dangerous part of the trip for me was roadwalking between Webb Bros store across river bridge to Childers Creek trailhead on Hiwassee River. 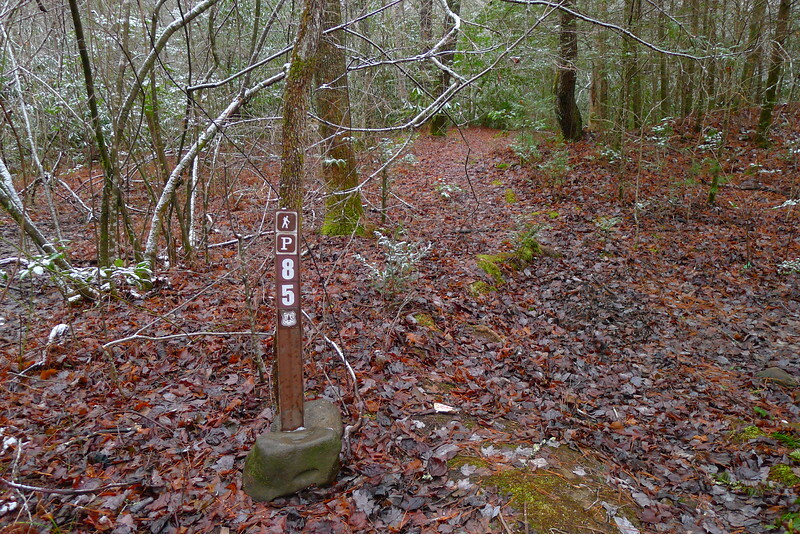 Then comes the pretty John Muir/Hiwassee section with a campsite on Towee Creek and one on Loss Creek. Then the climb to Highway 68 and Unicoi Gap into Tate Gap (spring house behind old stone house). The climb to Cantrell Top and down to Six Mile Gap (I just camped in Six Mile a couple weeks ago)---then State Line Ridge from Sandy Gap to Sled Runner Gap to Brookshire descent to Upper Bald River---and make a left for a 2.5 mile trek off the BMT to your car. Once you leave Ocoee River you'll climb up to Dry Pond Lead and there's this nice campsite in Little Frog wilderness. Here's the campsite by Piney Flats Creek. On Hazelnut Knob on State Line Ridge north of Sandy Gap.